(APQO) at Abu Dhabi for the category of Education. Smt. B. Seetha Polytechnic was started in the year 1997 by Sri Vishnu Educational Society with a view to impart quality education to the rural students. The vision of our Founder Chairman reflected in the sprawling campus with the Polytechnic in a 50,000 sq.ft. building, equipped with state of art laboratories and rich collection of books in the libraries,with Qualified faculty which paved the way for achieving excellent results. The Polytechnic was converted from women’s Polytechnic to co-education institute in the year 2000. Sri Vishnu Educational Society has stood first among equals because of its quest and hard work to develop as an educational society which stands apart. The Society aims and strives for continuous improvement in the field of education and is committed to delivering world class education in various fields to students from different strata. Our founder chairman Late. Padma Bhushan Dr. B.V. Raju, through his excellent vision and foresight established many educational institutions. These institutions are playing a vital role in moulding and shaping the future of thousands of students year after year. Sri. K.V. Vishnu Raju began his career as a Chemical Engineer in M/s. E.T. Dupont De Nemours, USA, from 1989 to 1991, where he looked after research and development in polymers, ceramics and adhesives. 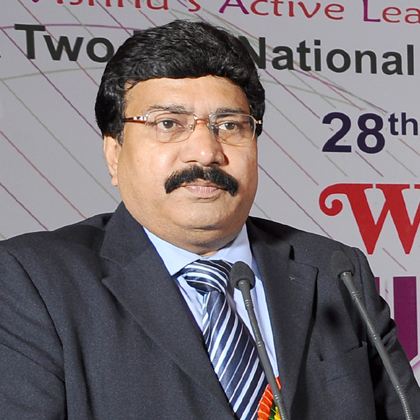 He returned to India in 1992 and served as the Executive Director of M/s. Raasi Cement Ltd., Hyderabad till 1995. The following year, he was promoted as Joint Managing Director of M/s. Raasi Cement Ltd., a post that he held till April 1998. In December 1999, he took over as the Managing Director of M/s. Anjani Portland Cement Ltd., Hyderabad. Sri Ravichandran Rajagopal, is a graduate in Mechanical Engineering from National Institute of Technology, Tiruchirapalli, and a postgraduate in Management from Indian Institute of Management, Calcutta. He started his professional career with the Swiss multinational company Novartis, India where he served in various capacities including Business Development, New Product and Application development, and Vendor Development. 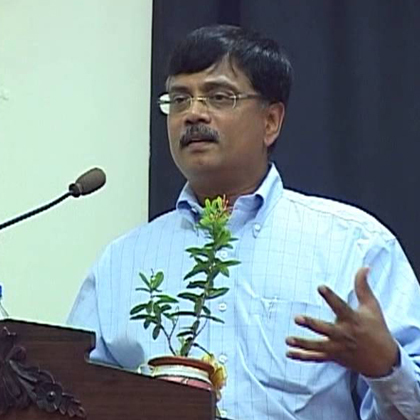 Dr. D. Suryanarayana, Director is an expert and outspoken interpreter with research activities, great administrative qualities and an eminent Professor of Computer Science and Engineering. He has 30 years of experience in academics and administration achieving high results for the organization. He is a master in management, planning, coordination, and budgeting. He took the charge of implementing the strategies, regulations, and systems to guarantee that all understudies are regulated in a safe conventional indiscriminate learning environment that meets the endorsed curricula and mission of the foundation. He develops an environment that encourages open communication with colleagues, students and community. Throughout his life, both as an industrialist and an educationist, Late Padma Bhushan Dr. B.V. Raju continued to devote himself to the service of the people. He always kept his doors open to the poor and needy and participated actively in welfare programmes for improving the socio-economic conditions of society. His services for the welfare of the people are innumerable and invaluable.